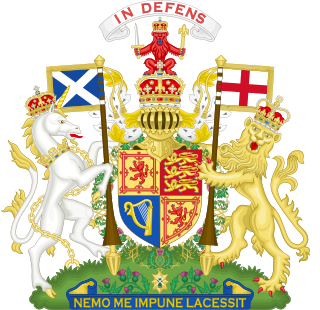 ^ Section XIX, "And that there be a Court of Exchequer in Scotland after the Union, for deciding Questions concerning the Revenues of Customs and Excises there, having the same power and authority in such cases, as the Court of Exchequer has in England": Act of Union 1707 at Wikisource. 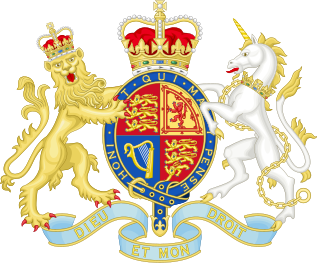 Her Majesty's Revenue and Customs is a non-ministerial department of the UK Government responsible for the collection of taxes, the payment of some forms of state support and the administration of other regulatory regimes including the national minimum wage. The Pipe rolls, sometimes called the Great rolls, or the Great Rolls of the Pipe, are a collection of financial records maintained by the English Exchequer, or Treasury, and its successors. The earliest date from the 12th century, and the series extends, mostly complete, from then until 1833. They form the oldest continuous series of records concerning English governance kept by the English, British and United Kingdom governments, covering a span of about 700 years. The early medieval ones are especially useful for historical study, as they are some of the earliest financial records available from the Middle Ages. A similar set of records was developed for Normandy, which was ruled by the English kings from 1066 to 1205, but the Norman Pipe rolls have not survived in a continuous series like the English. The Court of Exchequer was formerly a distinct part of the court system of Scotland, with responsibility for administration of government revenue and jurisdiction of adjudicate on cases relating to customs and excise, revenue, stamp duty and probate. In 1856 the Court of Session was designated as the Exchequer Court, which now carries out its judicial functions. Under the French monarchy, the Courts of Accounts were sovereign courts specialising in financial affairs. The Court of Accounts in Paris was the oldest and the forerunner of today's French Court of Audit. They oversaw public spending, handled finances, protected crown estates, audited the accounts of crown officials, and adjudicated any related matters of law. The Exchequer of Ireland was a body in the Kingdom of Ireland tasked with collecting royal revenue. Modelled on the English Exchequer, it was created in 1210 after King John of England applied English law and legal structure to his Lordship of Ireland. 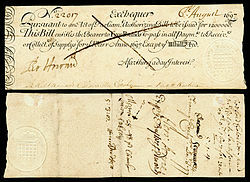 The Exchequer was divided into two parts; the Superior Exchequer, which acted as a court of equity and revenue in a way similar to the English Exchequer of Pleas, and the Inferior Exchequer, which directly collected revenue from those who owed The Crown money, principally rents for Crown lands. The Exchequer primarily worked in a way similar to the English legal system, holding a similar jurisdiction. Following the Act of Union 1800, which incorporated Ireland into the United Kingdom, the Exchequer was merged with the English Exchequer in 1817 and ceased to function as an independent body, although the Irish Court of Exchequer, like other Irish courts, remained separate from the English equivalent. The Office for Budget Responsibility (OBR) is a non-departmental public body that the UK government established to provide independent economic forecasts and independent analysis of the public finances. It was formally created in May 2010 following the general election and was placed on a statutory footing by the Budget Responsibility and National Audit Act 2011. It is one of a growing number of official independent fiscal watchdogs around the world. Revenue Scotland is a non-ministerial department of the Scottish Government responsible for the administration and collection of devolved taxes in Scotland. 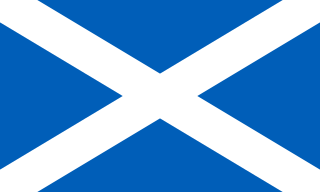 Taxation in Scotland today involves payments that are required to be made to three different levels of government: to the UK government, to the Scottish Government and to local government. Currently 32.4% of taxation collected in Scotland is in the form of taxes under the control of the Scottish parliament and 67.6% of all taxation collected in Scotland goes directly to the UK government in taxation that is a reserved matter of the UK parliament..